Coconut oil provides texture and flavor to a variety of foods, and is the edible oil extracted from coconut palm fruit. 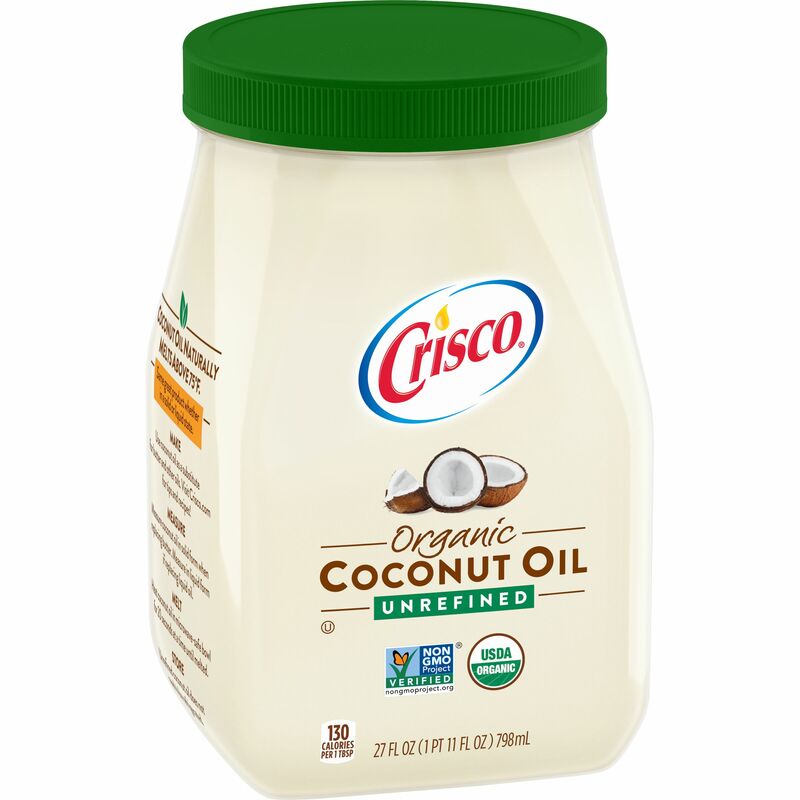 Unrefined coconut oil, or Extra Virgin coconut oil, tastes and smells like coconut, while refined coconut oil does not. This product contains coconut ingredients. Warning: Oil will catch fire if overheated. Damage or serious burns may result. Do heat carefully, uncovered, on medium heat. Do reduce heat if smoking occurs. Do not leave unattended while heating. Do not refill bottle with hot oil. If oil catches fire: Do turn off heat. Do cover pot until cooled to room temperature to avoid reignition. Do not carry pot until cool. Do not put water in hot or flaming oil.